Good day, folks. 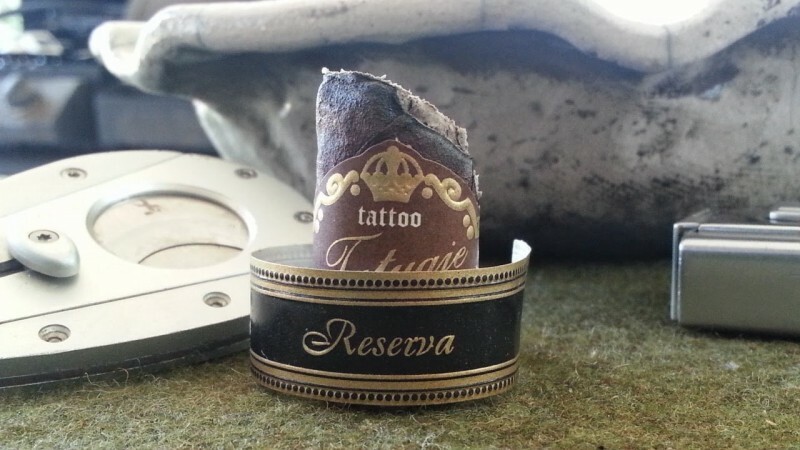 I’ve been smoking a fair number of both the Tatuaje Belle Encre and its Reserva brother lately, and thought I’d jot down some comparisons between the two. 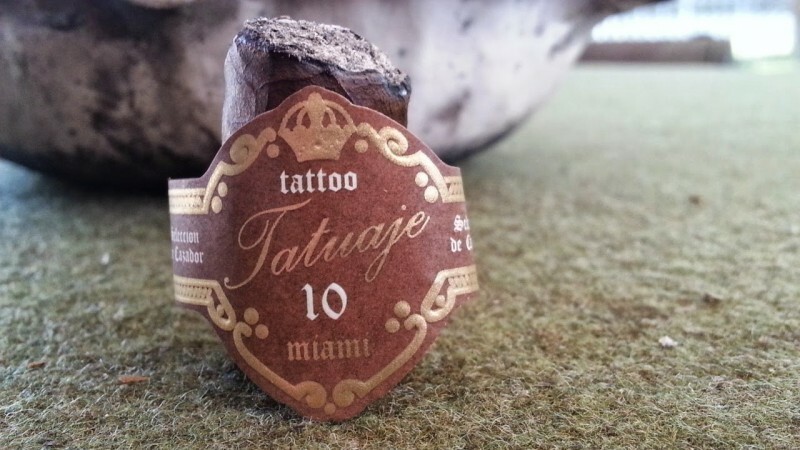 The Belle Encre was a line expansion to Pete Johnson’s original Brown Label line (Seleccion de Cazador) this past year, in commemoration of Tatuaje’s 10th Anniversary. 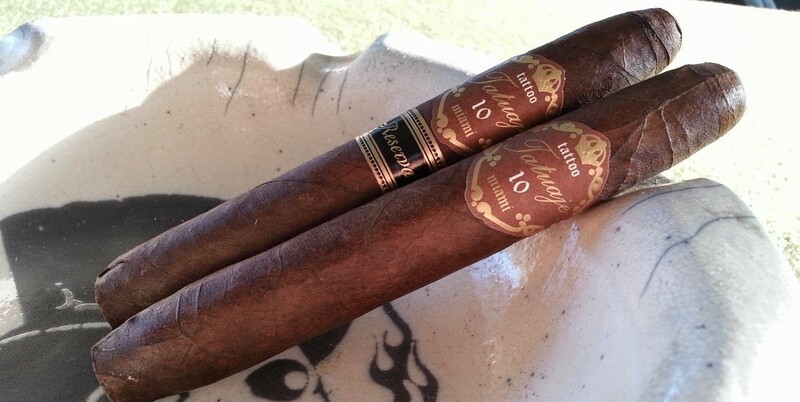 The Reserva was not released until 2014, and features the same internal blend as the original, but wrapped in Connecticut leaf. I know the original will continue on as a regular release (sans 10th Anni band), but I do not know the future of the Reserva variation. Unlike my normal (overly?) wordy reviews, these will be fairly brief and concise, with little fluff and backstory. Just the facts, ma’am. From the initial puffs, I get a significant but not overpowering dose of spice through the nose on retrohale, with more of a black pepper bent than red. Right off the bat, I’m reminded of the original “Brown Label” or Seleccion de Cazador line to which the Belle Encre belongs. It is very familiar, yet maybe a bit more polished. I can, will, and do smoke any of the available sizes from this line, but the blend really “shines” in this vitola for me. In the early portions of the Belle Encre, I find loads of sweetness as a framework from which the peppery spice hangs. The sweetness is in the form of molasses, leather, and an occasional bout of cedar. The black pepper tends to fade by the halfway mark of the cigar, except on retrohale, but the sweetness endures. Within the last inch the strength picks up significantly, but never problematically. I’d put the Belle Encre firmly into medium territory, with subtle but quite pleasant flavors. From Jumpstreet, an extremely “bright” spice., coupled with a very earthy bent – which seems to be formed around a more fruity core. The spice is mainly on retrohale, and is somewhat intense to be honest. There’s also a good bit of coffee in these early minutes. Midway through the cigar, the coffee takes on a noticeable sweetness – if you’ve been to Miami and had dash of Cuban coffee, it’s that kind of sweetness. This continues through to the end of the cigar, with the only major change usually occurring during the final inch or so, where the spice really goes up a few notches. A retrohale near the end of the Reserva can be a bit intimidating, but still pleasant in limited doses. The burn has to date been excellent on each of the BE Reservas I’ve had. 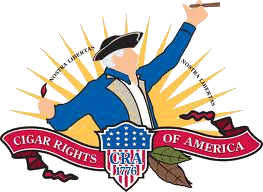 Overall, a very good cigar.